We are sharing one of the best and finest Free Bricks Wall Poster Frame Mockup PSD. 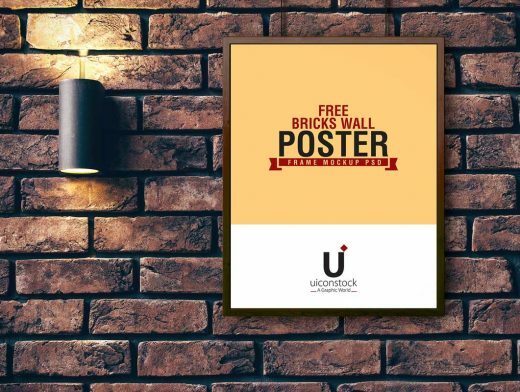 Which is perfect to showcase your poster in a wonderful and flawless way. Simply paste your design in smart-object layer by double click on it and get the desire result.